Our school opened on December 15, 1998 and has been in the same location for over 19 years. Our chief instructor is Anthony New who is a Master Black Belt in Hapkido and has earned the rank of 7th Degree Black Belt in Hapkido. Master New's instructor is Grand Master J. R. West (9th Degree Black Belt in Hapkido) who is the Vice President of the Korea Kido Association for Hapkido operations in America and President of the United States Korean Martial Arts Federation. Our practice area is one of the largest in Fort Wayne. It has a protective foam floor covering that provides a safe and comfortable area for our students to practice and learn Hapkido. Our instructors are very friendly and promote a great learning environment for our students. They are experts in helping new students through their first class. From when you step out on the training area, until you step off, we are there to help you. Our Academy provides a great viewing area for our parents. Providing the parent with the ability to see and hear our instructors work with their child. For your first class you should wear something comfortable, we recommend sweat pants and a long or short sleeve tee-shirt. Our Academy also provides changing rooms if you want to change at the school. Make sure you drink water before your class to keep hydrated. Our instructors understand that each student’s individual progress should be the main focus of their attention. That’s why our instructors continue to be students themselves. They take classes, attend seminars and continually work to improve their ability to help our students reach their goals. Master Anthony New is a 7th degree Hapkido black belt and is our chief instructor. He has taught Hapkido since 1991. Master Mike McConnell is a 5th degree Hapkido black belt and is our head instructor. He has taught Hapkido since 2001. 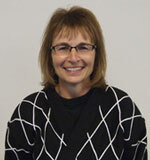 Master Instructor Karen Goss is a 4th degree Hapkido black belt. She has taught Hapkido since 2005. 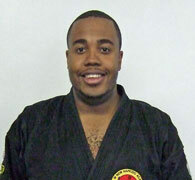 Master Instructor Emery McClendon II is a 4th degree Hapkido black belt. He has taught Hapkido since 2006. In 2019 he opened his own school in Nebraska, where he currently teaches Hapkido. 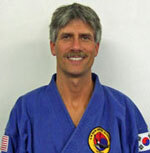 Master Instructor Ed Black is a 4th degree Hapkido black belt. He has taught Hapkido since 2007. 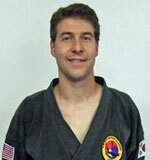 Senior Instructor Mike Stewart is a 3rd degree Hapkido black belt. He has taught Hapkido since 2011.
instructor Scott Maack is a 2nd degree Hapkido black belt. He has taught Hapkido since 2015. 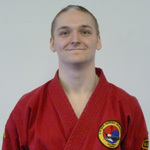 Instructor Chris Smith is a 2nd degree Hapkido black belt. He has taught Hapkido since 2016.
instructor Nathan Wyman is a 2nd degree Hapkido black belt. He has taught Hapkido since 2014. Our school is a member of the United States Korean Martial Arts Federation (USKMAF) and the Korea KiDo Association (DaHan KiDoHwe). For information about the USKMAF please visit USKMAF home page at http://hapkido.com/uskmaf/. 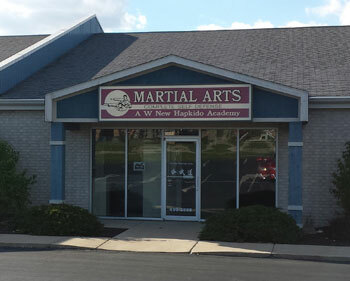 A W New Hapkido Academy, Inc.